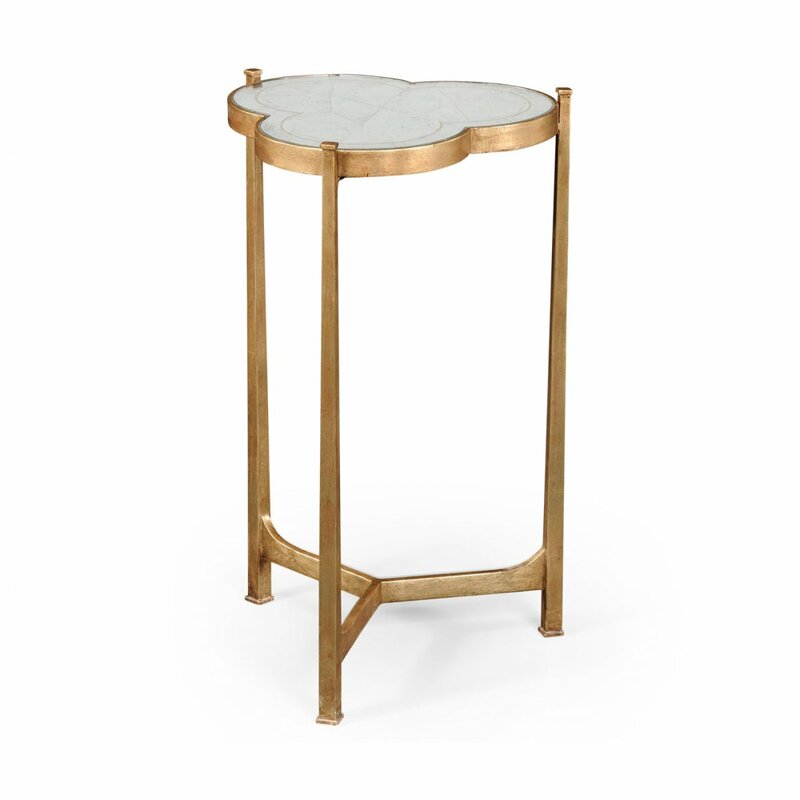 This Hollywood Regency style Designer Mirrored Side Table/End Table with the Contemporary twist inspired by a very famous Art Deco luxury furniture of the 1930's. 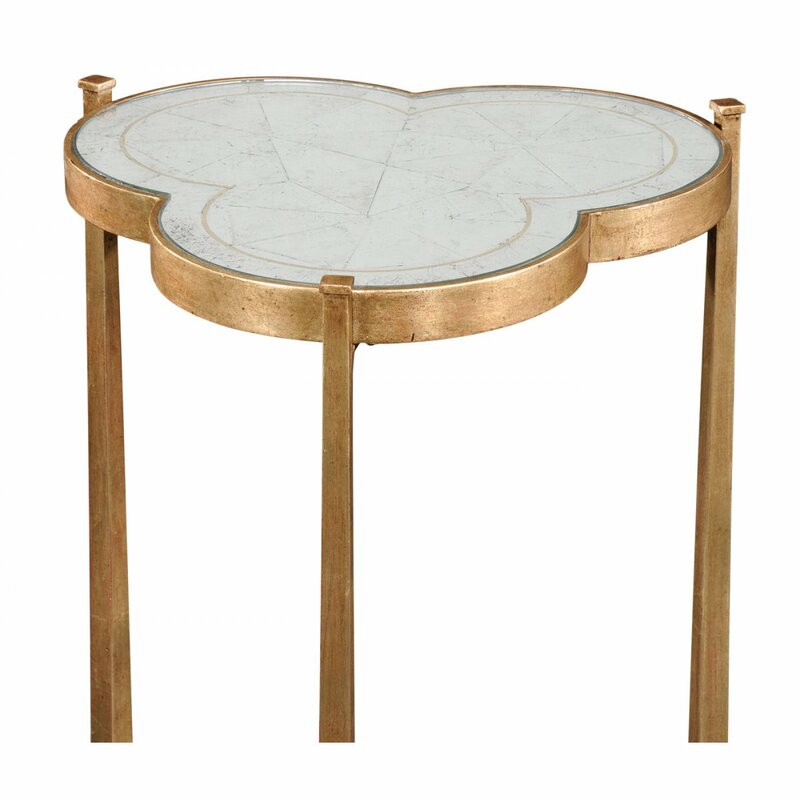 Fabulous and very stylish Églomisé glass and wrought iron trefoil topped lamp table features distressed gilded finish and hand painted gold borders to the eglomise glass top set on tapering legs that rise to above the height of the table top. 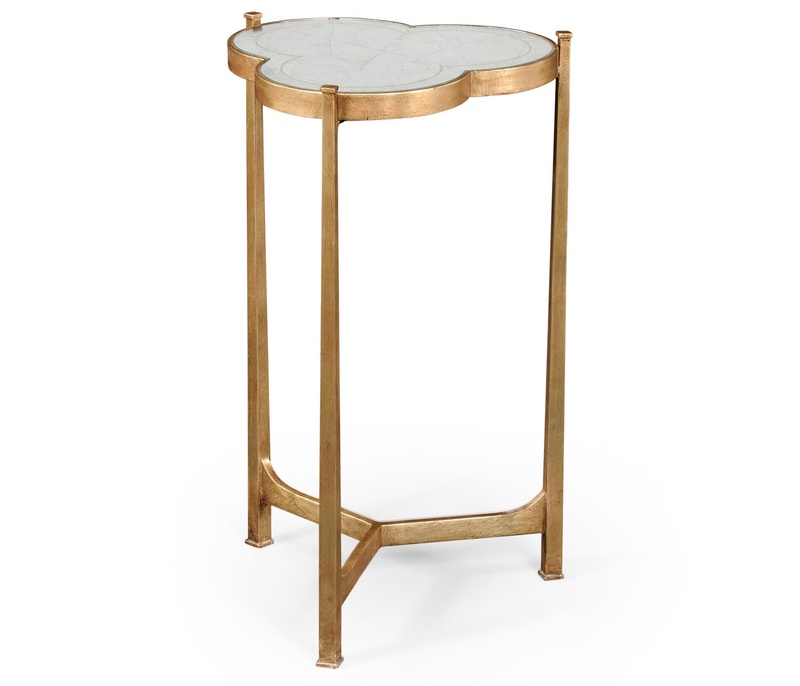 Gleaming antique mirror and antique gold frame make this Glass Side Table by Jonathan Charles a luxurious standout. 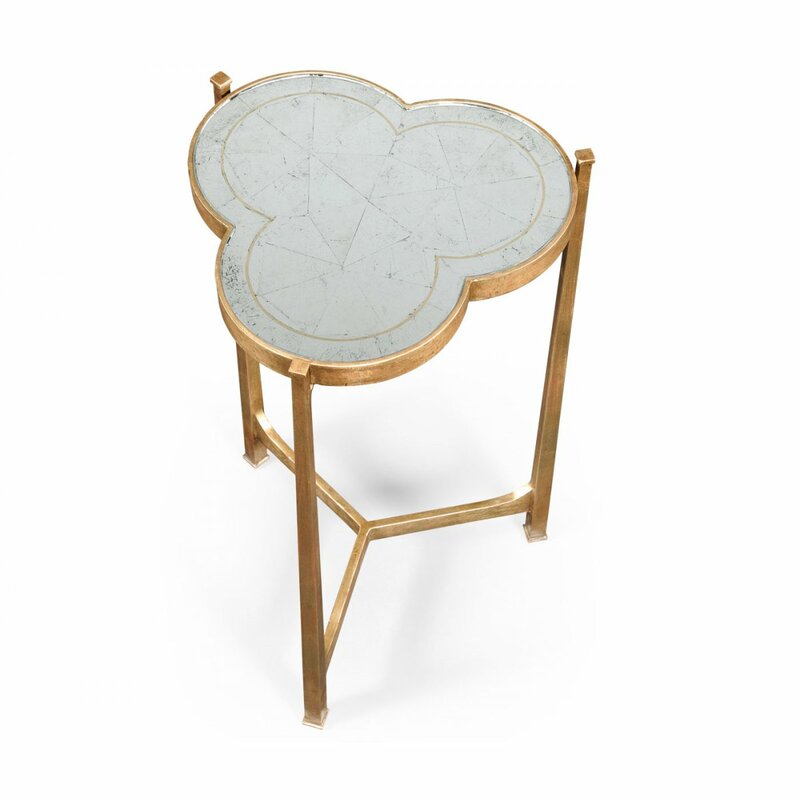 This fashionable Venetian style Side Table has an incredible sense of modernism and exceptional elegance. Whether your tastes are Minimalism, Mid Century or Hollywood Regency or even Art Deco, any Modernist with a dedication to elegance will easily find a place in their home for this beauty. This trendy Wine Table is the epitome of style, through elegant minimalism and luxurious simplicity, will add a remarkable Hollywood Regency touch to any room. Suitable for any living room, dining room, lounge, elsewhere throughout the home. Every Contemporary living room can always use more style, which is what this glass end table provides. 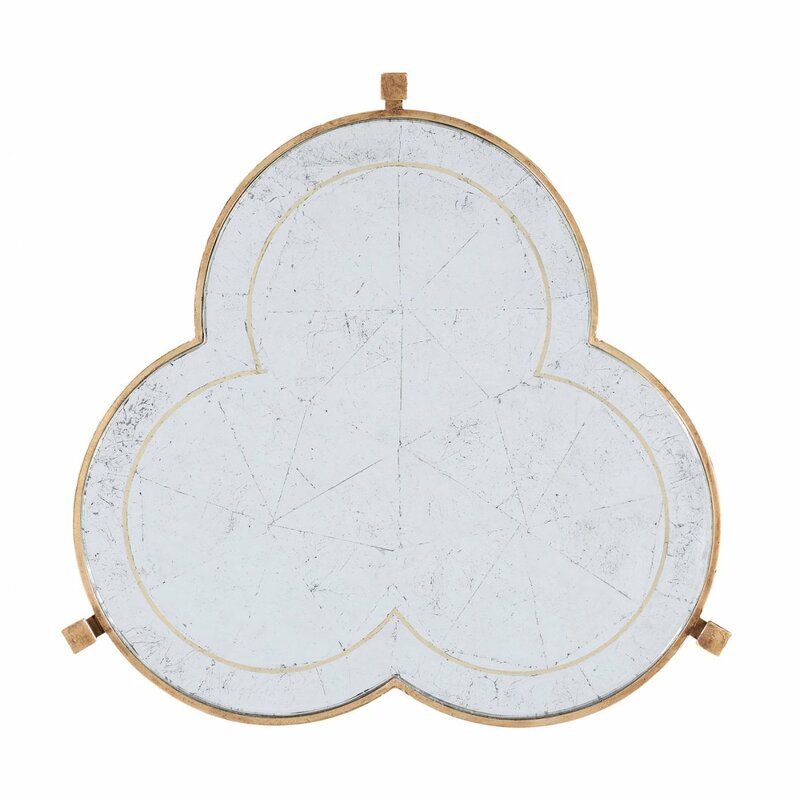 Place it next to your French style leather armchair for a gorgeous contrast. Perfectly proportioned for more intimate spaces, this slender Occasional Table complements a chair or buffet, accents a corner or invites a private conversation. This French table would work perfectly within your Modern home or Hollywood Regency décor or, use it as a stylish bedside table to give your bedroom some instant elegance. The fantastic Mirrored Side Table is an ideal choice for anyone seeking splendid, classy, practical Art Deco chic furniture piece. 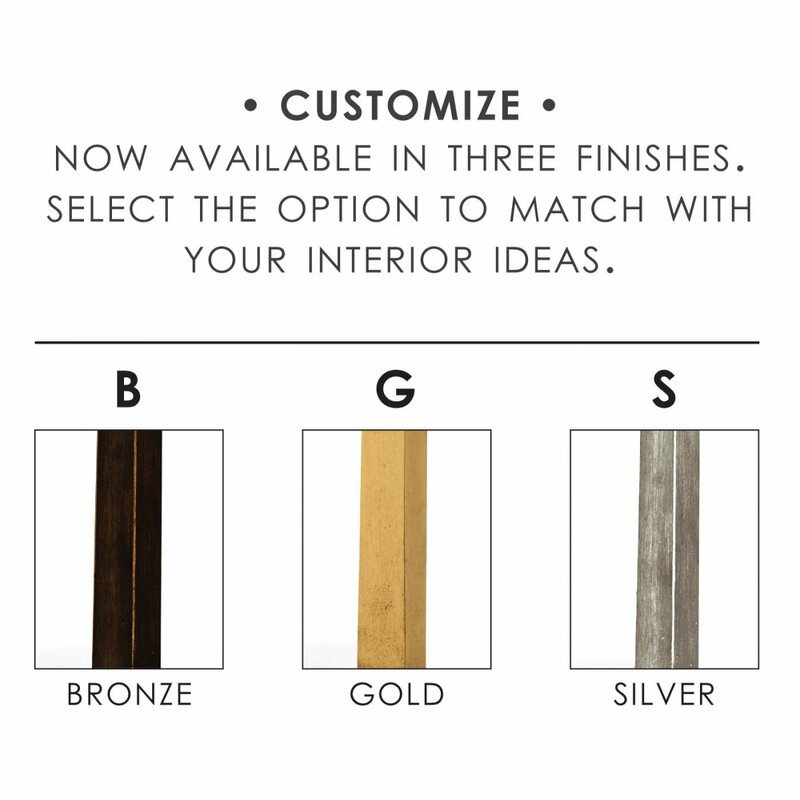 Available in silver, gold and bronze. Pair it with the matching Jonathan Charles Hollywood Regency Glass Console Table, 3 Shelves Table, Coffee Table, Chest of Drawers or Etagere (available separately) to complete the look. Why not team it up with one of our charming chandeliers to create the perfect Vogue ambience? 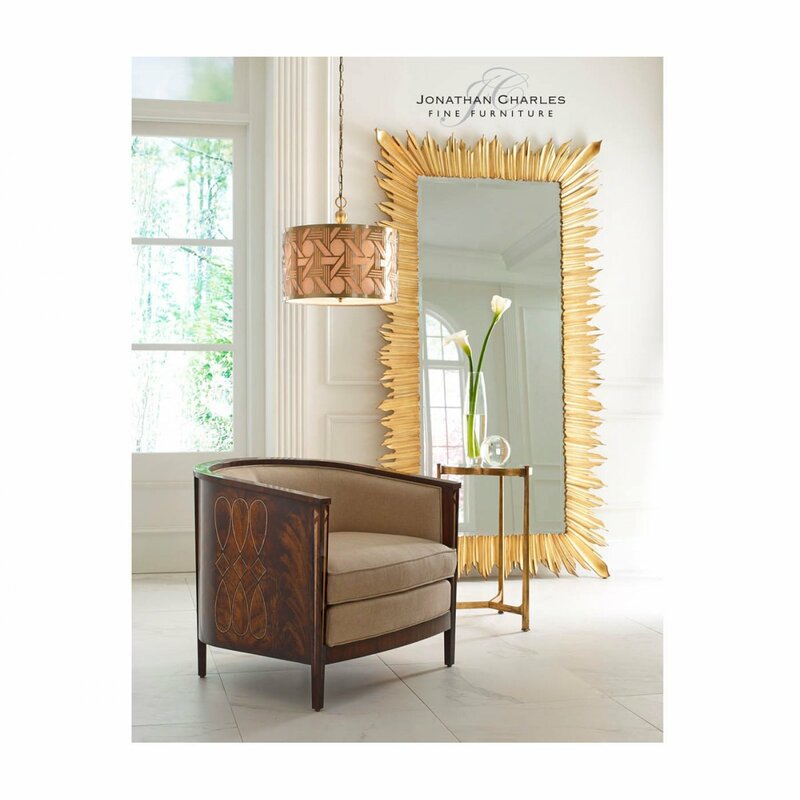 Currently, Hollywood Regency Mirrored furniture is very much in Vogue; there's something for everyone in this impressive Jonathan Charles Luxe collection.